Thanksgiving was my favorite holiday as a kid. We always went ALL OUT for it, cooking enough food to feed a small army and by mid-December everyone was pretty done with Thanksgiving food. Now, we’ve created new traditions with our family that I enjoy so much more. Instead of having the same leftovers for the rest of the year, we gather with friends on Black Friday and pool all our leftovers. We have an amazing time with friends playing games, chatting about the gatherings the day before and planning for Christmas. Yes, friendsgiving is one of the BEST holidays around! One thing we have found doing this for the last several years is that sometimes you end up with unequal leftovers. Maybe you’ll have lots of pies available but you’re already running low on turkey because no one wants to cook a MASSIVE bird on Thanksgiving and everyone bought modestly sized turkeys. That’s where a quick run to Kroger to buy a Honeysuckle White Turkey comes in handy. 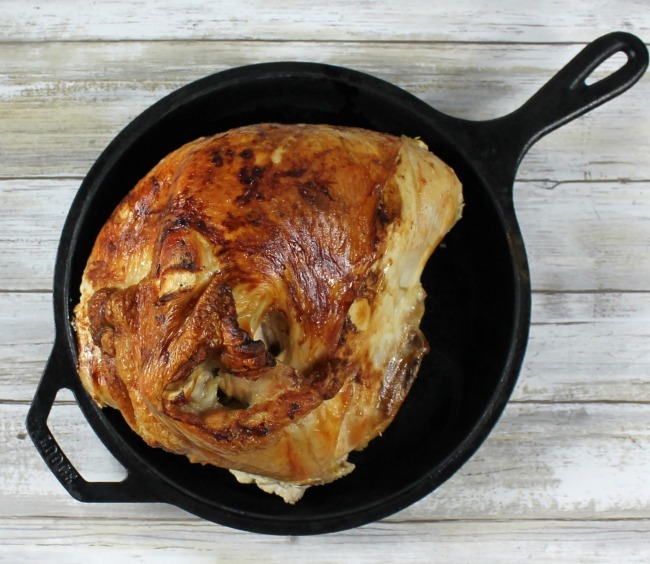 We almost always need a little bit of extra meat to balance out the loads of sides that are still there for Friendsgiving, so some one will swing by the store and pick up a Honeysuckle White Turkey. I love that it’s all white meat (my favorite), comes with a packet to help you make gravy. The turkeys are USDA certified, and raised by independent farmers and raised with no added hormones or steroids. Honeysuckle works closely with the farmers so that we can know how our food is made and even who is making it! You can read more about the farmers here. Look for the in-store coupon that will let you save $2.50 on any ONE (1) Fresh Honeysuckle White Whole Turkey from now until November 21st! 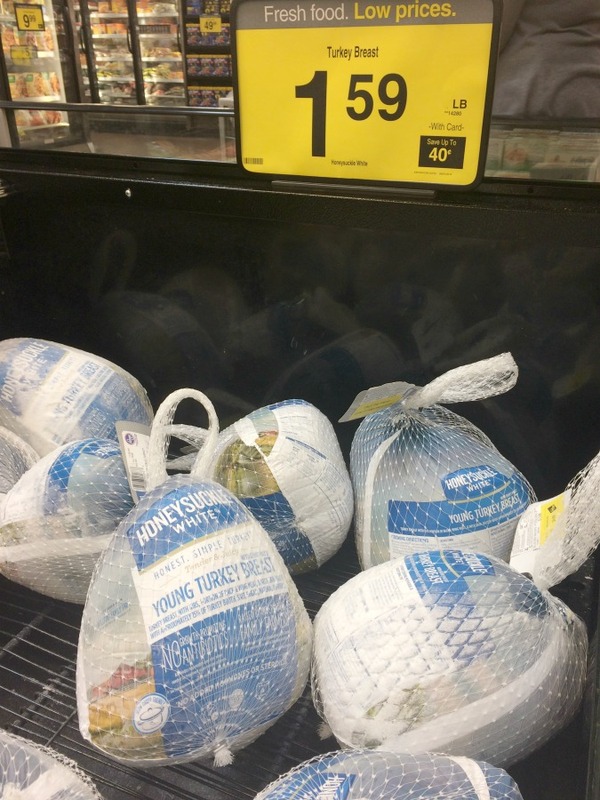 There is also a coupon in select stores that lets you save $2 on any ONE (1) Fresh Honeysuckle White Whole Turkey that runs through the end of the year. We also like to create new recipes on Friendsgiving because it gives us room to experiment! One of our family favorites is mini Turkey casserole bites. The best thing about this recipe is that it will change every single year, depending on what leftovers you have available. 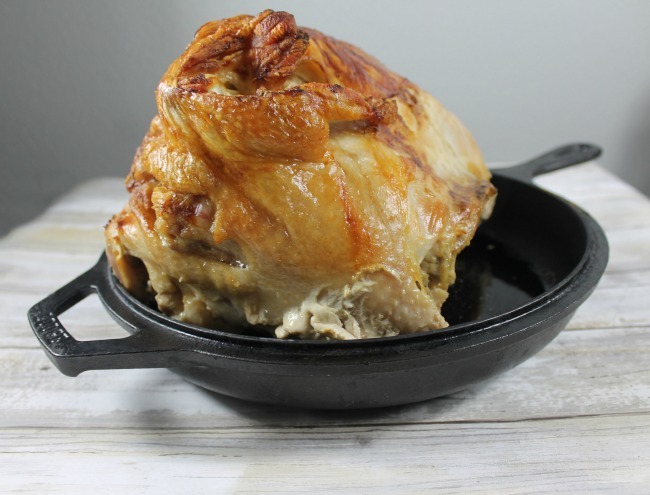 Start by cooking your Honey Suckle White Turkey at 350 degrees. Another advantage to these turkeys is that they are smaller, so the cooking time is way shorter. You won’t have to spend another full day in the kitchen preparing for Friendsgiving! Preheat the oven according to the directions on the crescent roll tube. 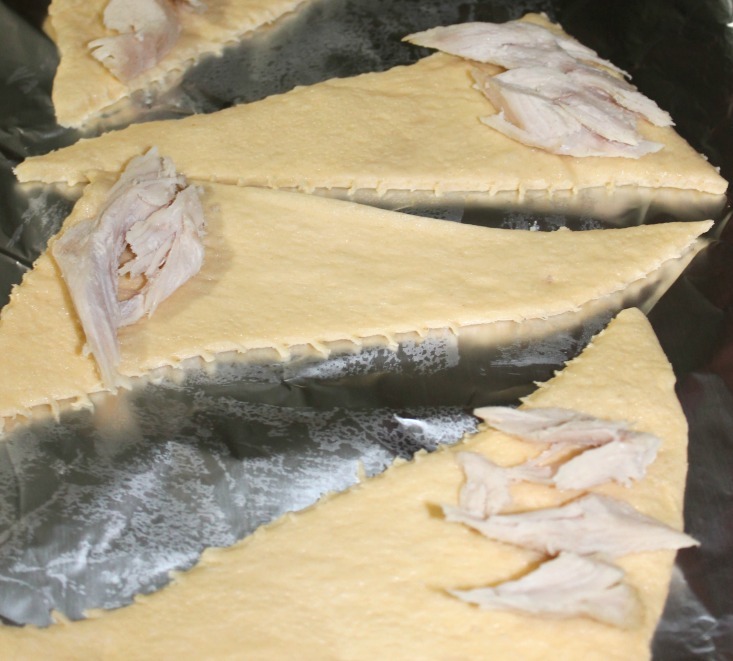 While it’s preheating, add bits of turkey and any other tasty leftovers you have around to the crescents before you wrap them up. Wrap, them and bake according to the package directions. There might be tasty leftovers spilling over the sides a bit, and that’s okay! The rolls should be golden brown when you are done baking them. 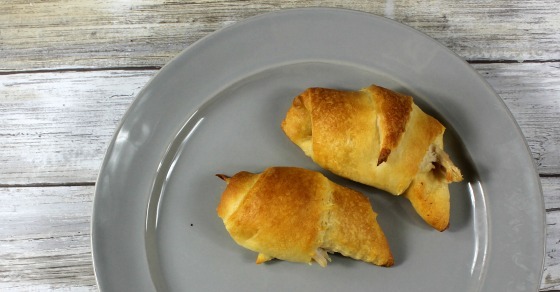 These make a great appetizer for any Friendsgiving party and each roll will be unique since you are going off of leftovers that you have on hand. Alternatively, if you just want to make a fun post-Thanksgiving snack for the kids, just use turkey in the rolls and nothing else. This makes them predictably yummy for a kiddo. I always top ours with gravy, an enjoy! 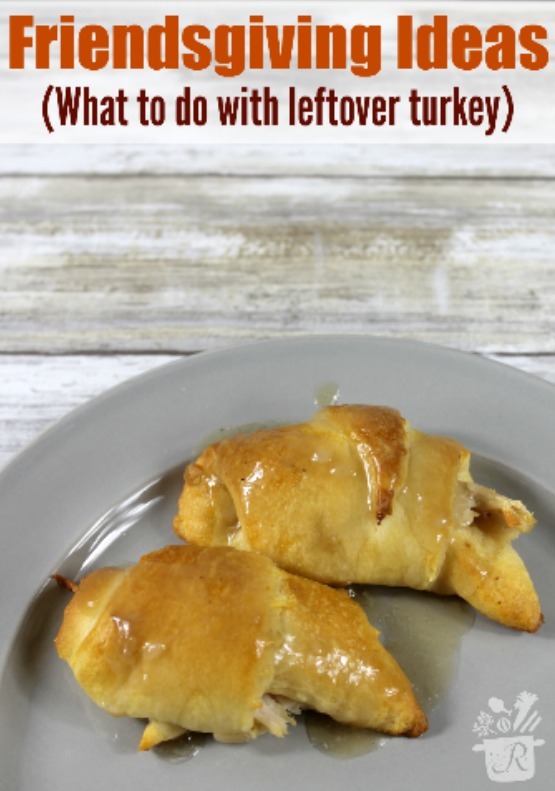 Make sure you follow Honeysuckle White Turkey on Pinterest for more recipe ideas like this one!